We traveled for one full year across Africa. Across empty beaches in Mozambique, dry deserts in Namibia, and the plains of the Serengeti. 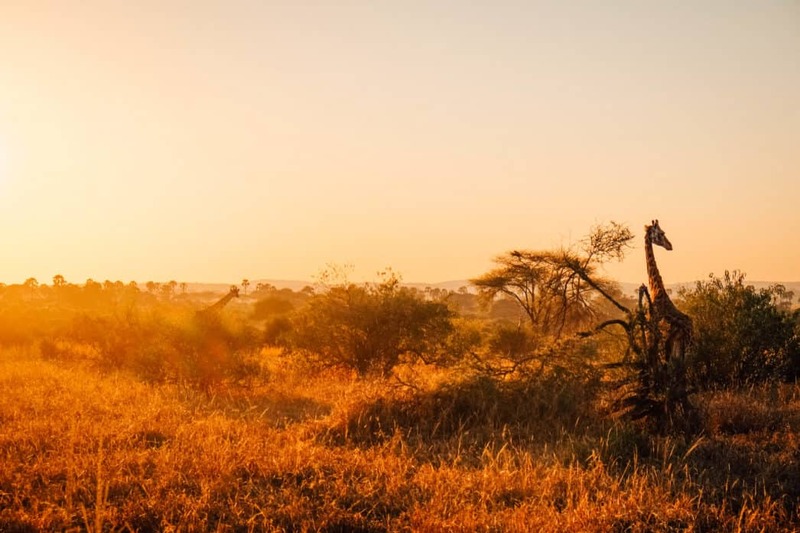 Dusty days in Masai Mara and Serengeti lead to the most spectacular sunsets as the sun kissed the earth and an explosion of color would burst into the sky. It felt as if we saw the beginning and end of time everyday in the bush as the sun brought life to the earth. The miracle of life and the fight for survival plays out everyday in the heartlands of Africa. We witnessed the birth of a baby zebra in Zambia and the death of many at the hands of predators who were themselves fighting for life. It is the greatest show on earth. There is nothing quite like Africa; however, there are many different places to stay while visiting the beautiful continent. We’ve narrowed down these best lodges, camps, and resorts in Africa hand selected and tested by the two of us. We are not magazine editors or travel agents. We are two real people with a passion for Africa and who have stayed overnight for at least two days in each of the properties listed. 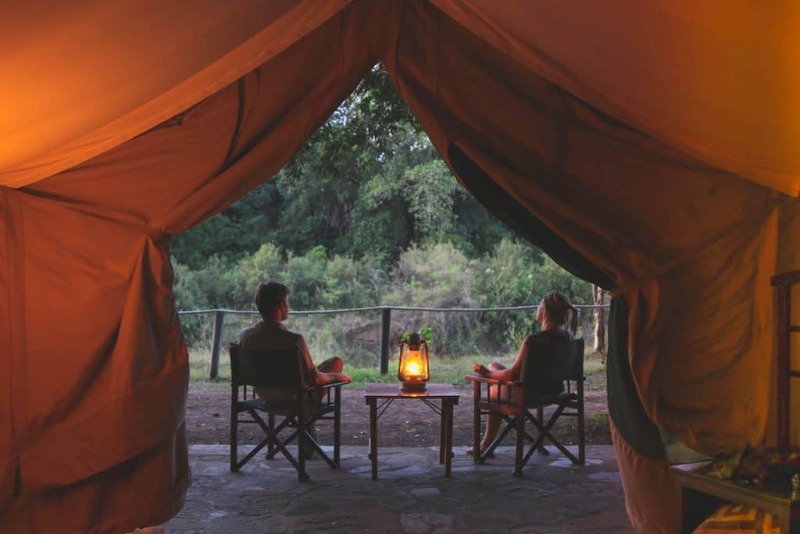 The accommodation ranges from classic safari tents to beach paradises and eco-friendly lodges. These are the best lodges in Africa for romance, adventure, tranquility, and luxury. 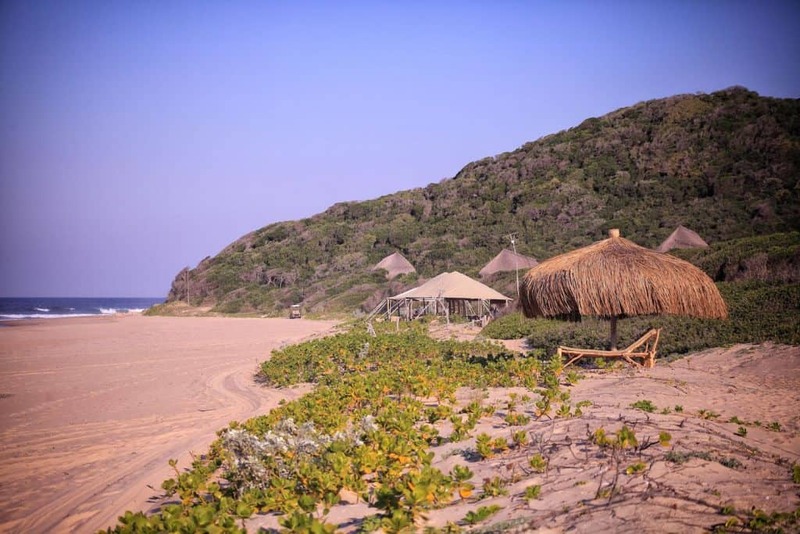 Anvil Bay is located in the Maputo Special Reserve and has the most stunning location on the Mozambican coast. If you want to feel like a castaway on your vacation then take a look at this place. The reserve is only a four-hour drive from Maputo. However, to get there you either have to have a 4×4 vehicle or hop on a helicopter. 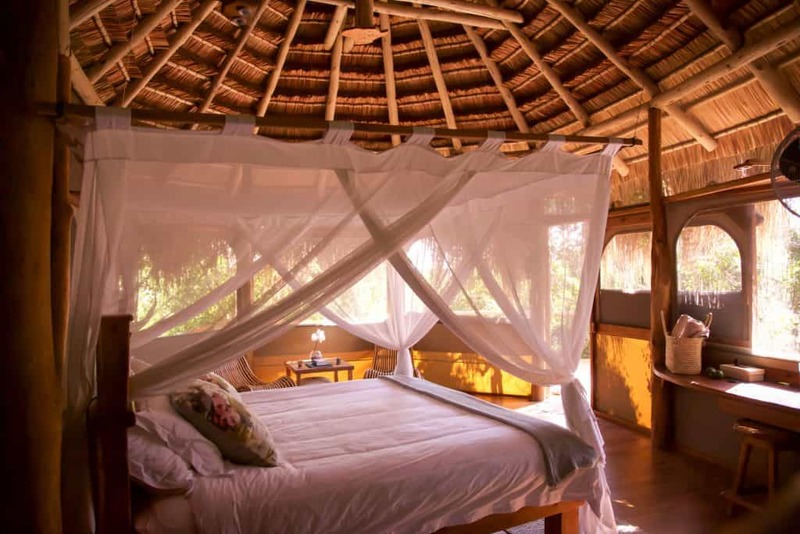 With only nine thatched casinhas hidden away in the coastal mangrove, it is as intimate as it can get. The star of the show here is the wild coast, as Anvil Bay prides itself as having a minimal environmental impact. 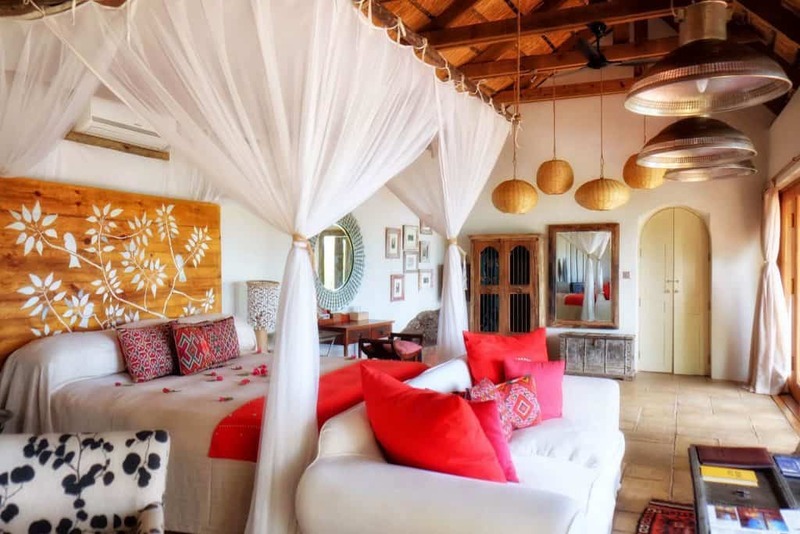 Rooms are built on stilts from local materials and the main lounge is two tents situated on the beach. We stayed here for four days and never saw anyone asides from the lodge staff. If we were to pick a beach honeymoon as far away from everyday life as possible, this would be it. Read more about our experience at Anvil Bay here! Forget about Johannesburg and Cape Town, the Drakensberg mountain range is a must see in South Africa. The Drakensberg mountains are a long range of mountains formed over 200 million years ago and they are absolutely stunning. We spent a few days hiking and snowboarding in the dramatic mountains before we checked into Montusi Mountain Lodge for some relaxation in the South African bushveld. Every chalet here is massive and comes complete with its own fireplace and heated flooring. All the patios have breathtaking views of the Drakensberg amphitheater, so you really can’t beat a morning here. I found Montusi to be the perfect mountain retreat for winter in South Africa – cozy, comfortable, and reasonably priced at $250 a night. 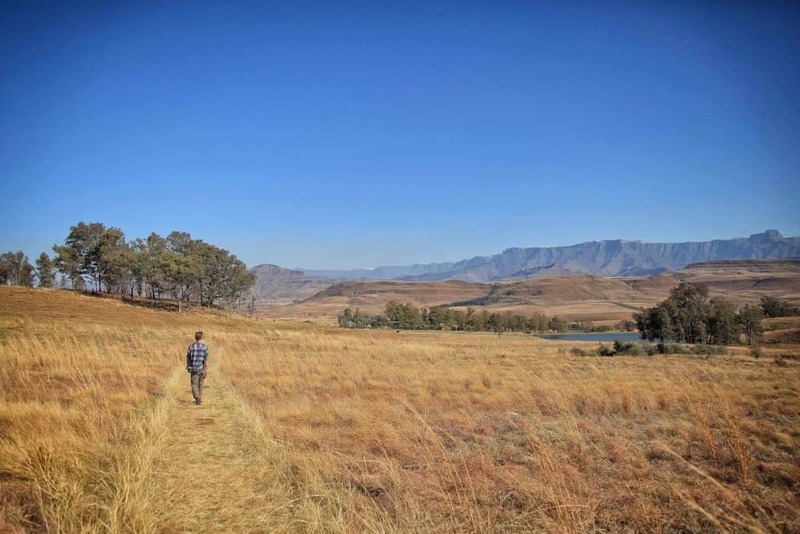 Read more about our personal experience in the Drakensberg here! I really didn’t mean what I said about Cape Town previously. The city is spectacular and one of our favorites in the world. We checked into the Tintswalo Atlantic which is located within Table Mountain National Park. It’s the only private lodge inside the park and despite being so close to Cape Town it is secluded. 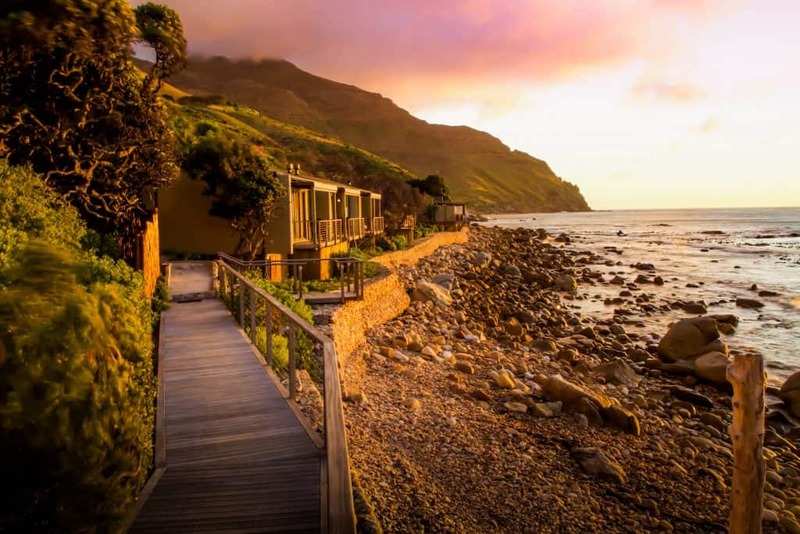 The exclusive lodge is located along the famous Chapmans Peak drive. 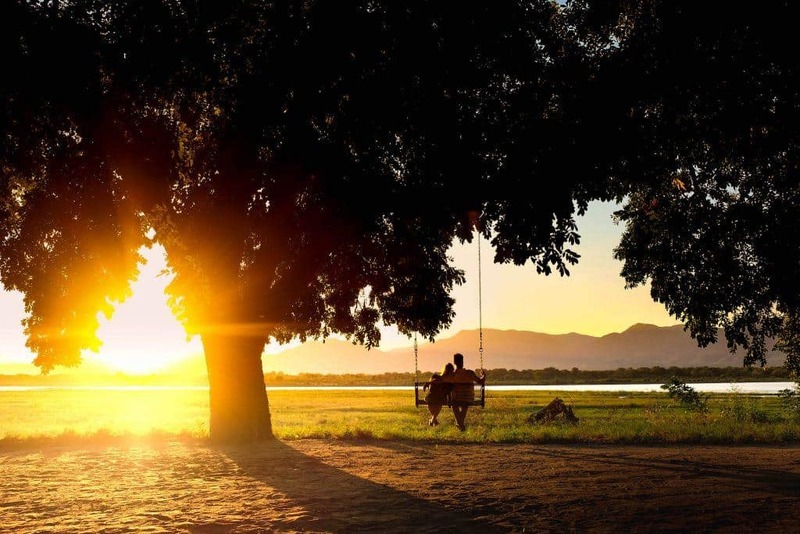 It’s probably the most stunning location for a property in all of Southern Africa. The Tintswalo Atlantic is easily one of the most romantic places to stay in the city. Each room is unique and styled after different islands of the world. 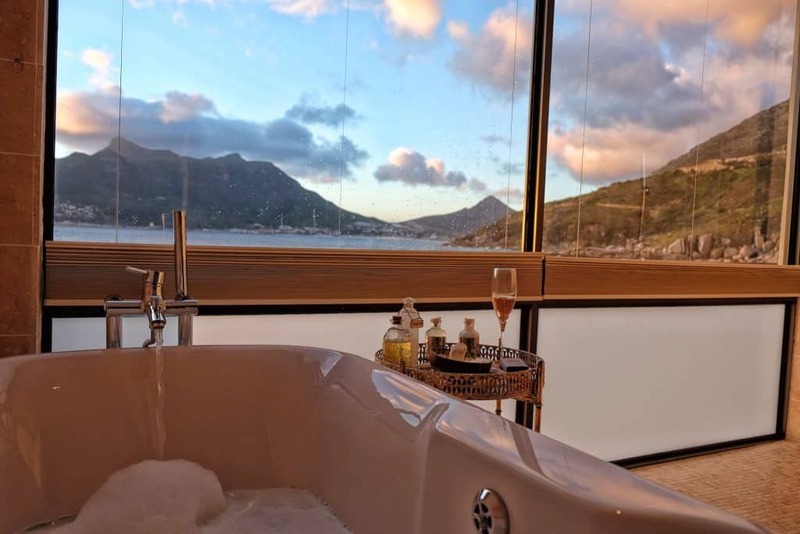 Of course, each features a stunning private and views of the sunset over Hout Bay. It’s worth noting that the food served here is also some of the finest that we have had throughout all of Africa. 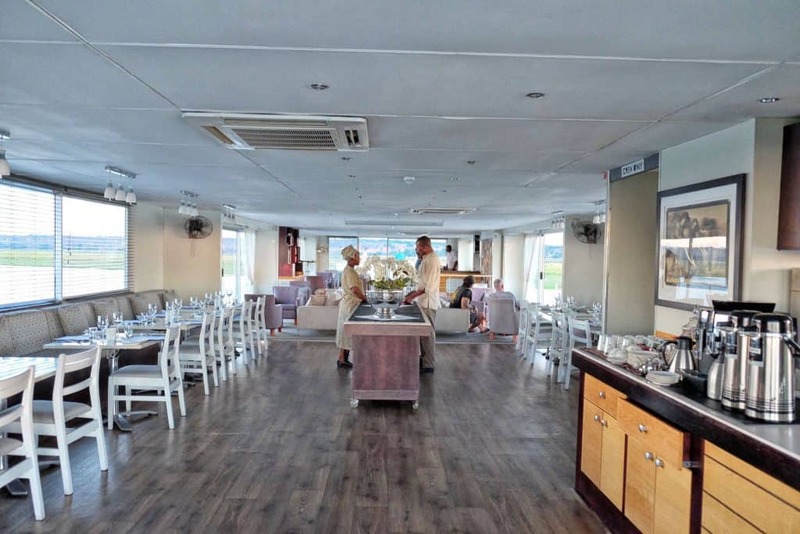 The Tintswalo suffered a devastating fire back in 2015, but instead of calling it quits the owners decided to rebuild and now it is better than ever. Read more about the Tintswalo Atlantic here! 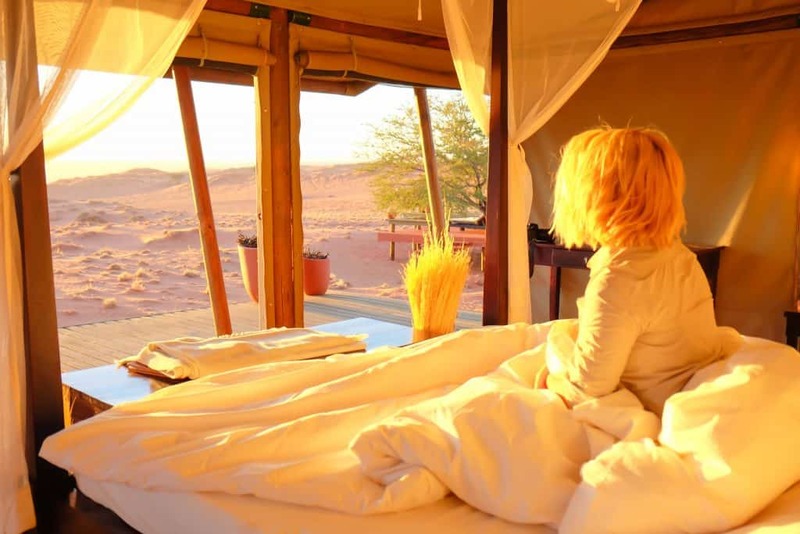 When it comes to luxury in Namibia look no further than Wolwedans. 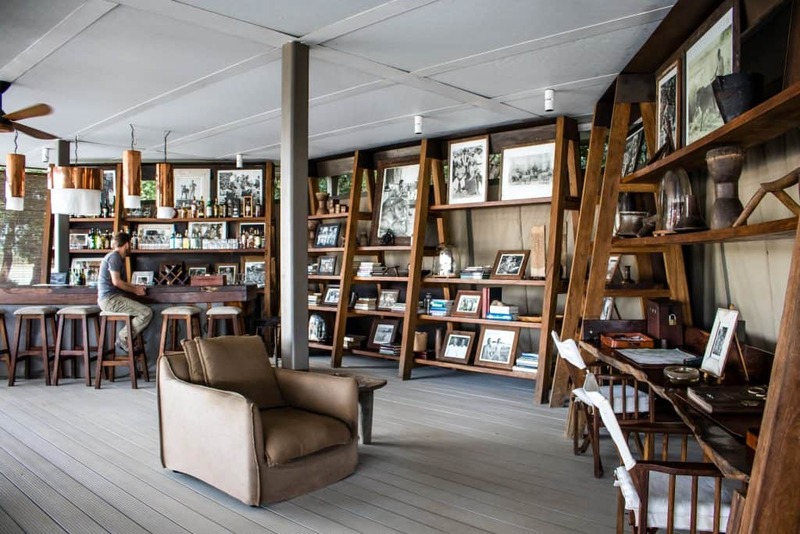 They were pioneers in luxury tourism in Namibia and are now one of the most classic lodges in Africa. At its onset, it created the massive NamibRand Nature Reserve claiming back thousands of kilometers back from farmers. The famous collection of camps have been serving clients for decades and have an impressive guest list. The Wolwedans Collection consists of the Dunes Lodge, Private Camp, Dune Camp, and Boulders Lodge. 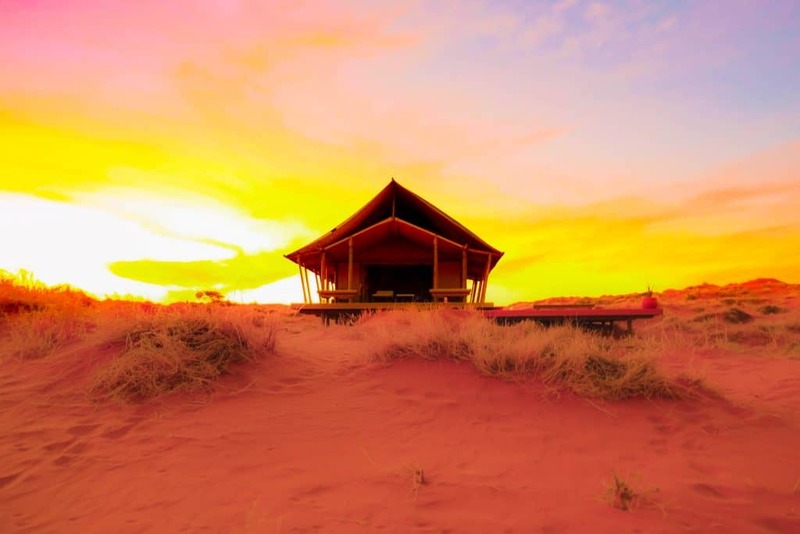 All four of the lodges are scattered across the NamibRand Nature Reserve and all have their own unique style and feel. Every tent at Wolwedans has spectacular views over the dunes of Namibia, making this our favorite place for coffee in Namibia. We loved everything about Wolwedans, especially their effort towards sustainability. They’re making new efforts towards sustainability. Which includes many of their buildings out of plastic bottles, a full solar power plant, and producing organic food in the desert. There are a handful of camps and lodges in this list that embody the essence of safari. Wolwedans is classic and timeless. Find out more about Wolwedans here! 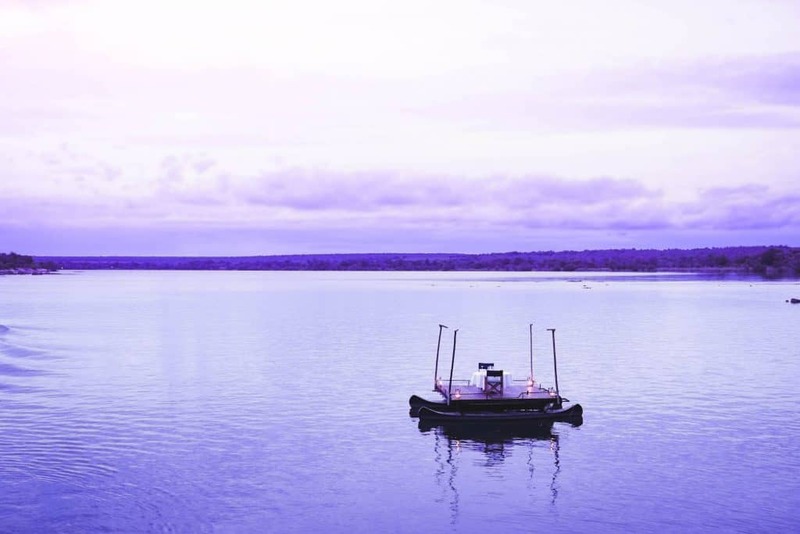 The Zambezi Queen is not your average lodge, because it comes in the form of a ship on the Chobe River. Guests can call this house boat home for a few days while taking in the views of both Namibia and the Chobe National Park in Botswana. “The Queen” is a boutique floating hotel with lovely rooms, a pool, bar, and full dining area. During the day everyone can leave the houseboat to go on a river cruise, bird watch, or fish only to return in the evening to mingle with other guests and enjoy delicious food. Cameron spent his birthday on the Queen! After eating our way around Africa it’s official, Tongabezi Lodge has the best food in all of Africa. 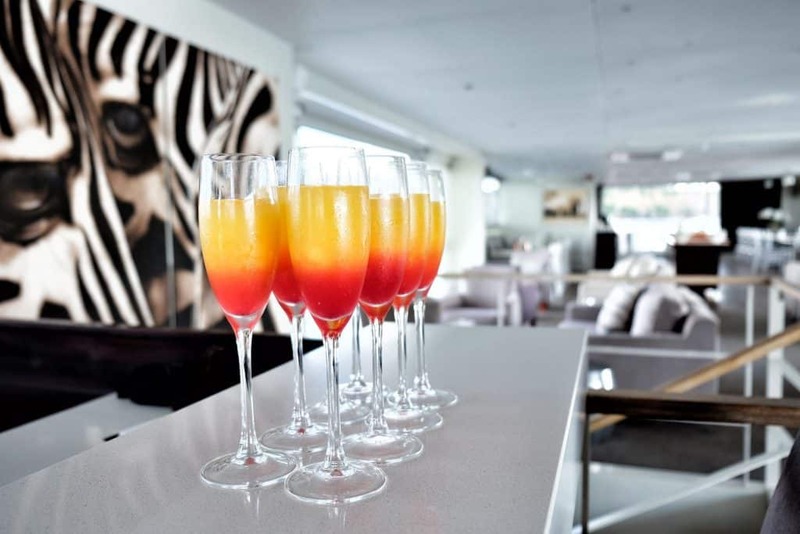 Aside from a wonderful chef, the lodge, which is located in Zambia near Livingstone is the probably the most luxurious lodge on the Zambezi River. Tongabezi has been in operation for over 20 years and it is apparent in their lodge management skills. Everything from the beds to the staff, to the check in process, is top notch. No stone is left unturned and after a long travel day the day we checked in we found a fresh bubble bath with high-end bath oils waiting to be enjoyed. Rooms here are all unique and they include a number of stunning “houses” that you can book your for your stay. Each villa has large balconies to enjoy the Zambezi. While, a personal valet is sure to make sure your comfortable at all times. The lodge is highly involved in the community and run their own school called the Tongabezi Trust School and now teach over 200 kids from rural Zambian villages including all the employee’s children. Check out our experience at Tongabezi! 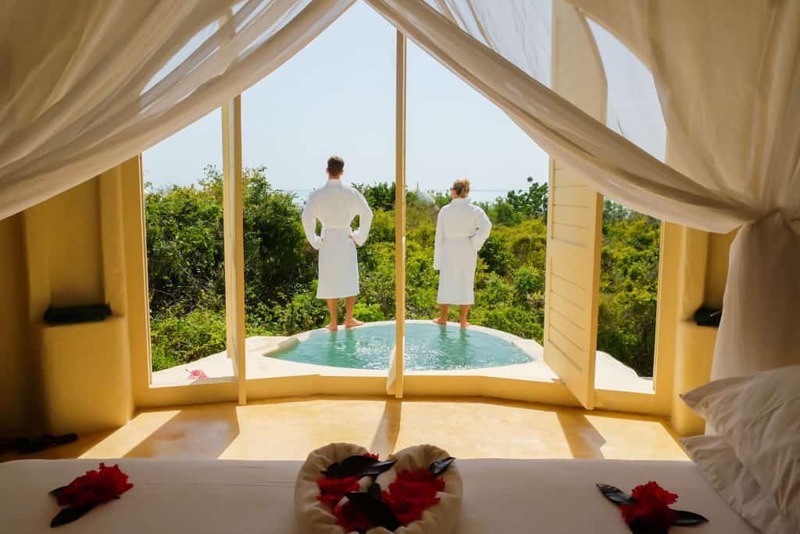 If you’re in the market for an adults only, beach paradise lodge on Zanzibar then make sure to check into Kilindi. This Zanzibar hotel is run by the large Elewana Collection and unlike any other lodge we’ve ever stayed. The pavilions at Kilindi are one of a kind, designed tastefully with minimalistic flair. 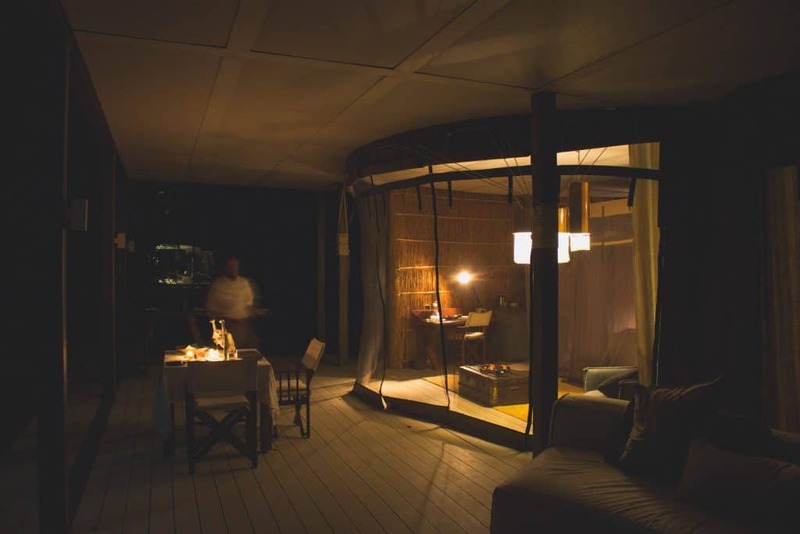 Each “room” has three circle pavilions that open up to the tranquility of the Indian ocean. There is the main bedroom, open air bathroom, and then a private lounging deck. In each setting, you are completely at one with the Zanzibar nature. Each room also comes with a personal valet. Seafood at the resort is sure to wow any foodie. We were served some of the finest seafood we had in all of Africa and the chef was quick to adapt local ingredients to classic dishes. It’s safe to say that Kilindi Zanzibar is a rare retreat reserved for those who want a truly special experience. 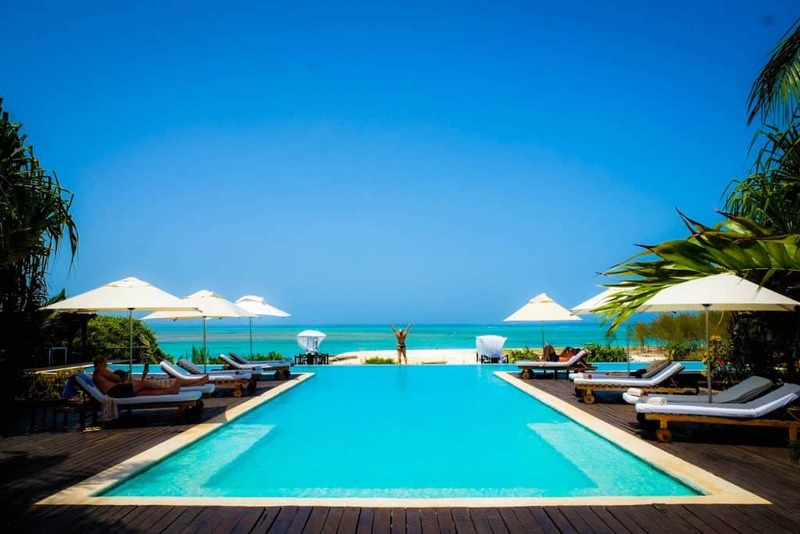 The ambiance, seclusion, and attentive staff make this one of the very top resorts to choose from on Zanzibar. We can’t wait to return one day. Read more about our stay at Kilindi! Emerson Spice was once an old Merchants House that is now a restored boutique hotel. Set in the middle of Stone Town, and only steps away from Emerson on Hurumzi, all I can say is – this hotel is one of the most unique in the world. Eleven rooms make up the old building and each one is uniquely decorated. Just stepping into these rooms makes you feel as if you have stepped back a century. Colorful walls, antique furniture, and floor to ceiling curtains surround guests. Small details like period books, handmade local soaps, and towels seal the deal and transport guests back in time. The Secret Garden restaurant is also hidden away inside this hotel and is one of the best places to have dinner at in Stone Town. Be sure to make reservations – they are well known around the island! It definitely made our cut for one of the best hotels in Zanzibar. What if I told you there was a camp in Kenya where you could live out the old safari days of Africa? Well, Cottars 1920’s Camp on the edge of the famous Masai Mara is that camp. Anyone obsessed with that era as much as me will absolutely fall in love with Cottars. Decorated out with pith helmets, old hunting trophies, a massive collection of photographs, gramophones, and even a 1940’s Rolls Royce Cottars offers a truly different safari experience. Not only that but the Masai Mara/Serengeti eco system has some of the best game density we’ve seen in all of Africa. We spent two weeks between the two parks! Our other favorite camp in the Masai Mara is Governors Camp. The location of the iconic camp was once the governors of Kenya private safari camp and entertained guests like Teddy Roosevelt. 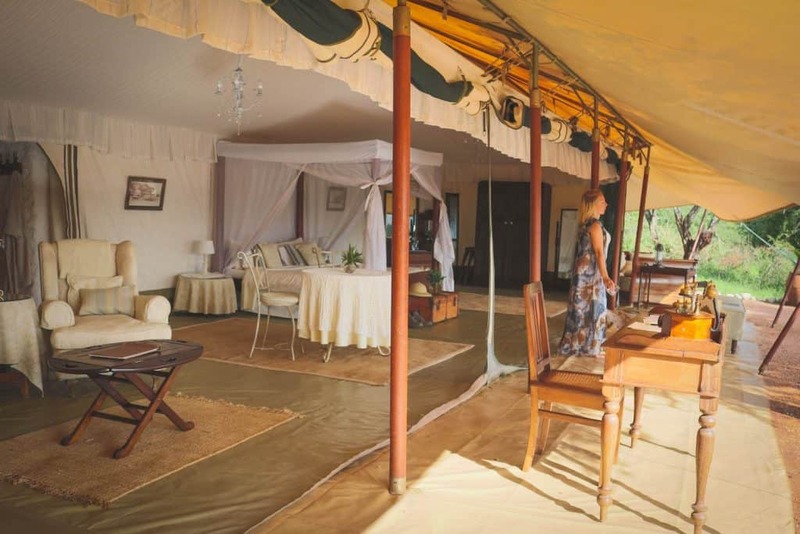 The Governors Camp Collection houses a variety of different lodges around the Masai Mara. We stayed in their main Governors Camp, which is their biggest camp with 37 tents. Each tent is simply decorated and comfortable. 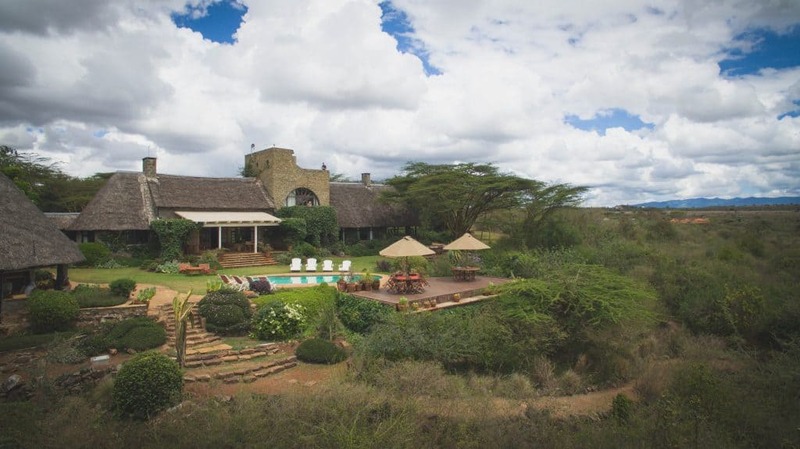 The location is superb in the heart of the Masai Mara with fantastic game density around it. On two separate occasions, we had elephants and lions roaming around our at night. The elephants even used our tent poles for a nice scratch. If you are into incredible game sightings and close encounters then Governors Camp should have your name written all over it. 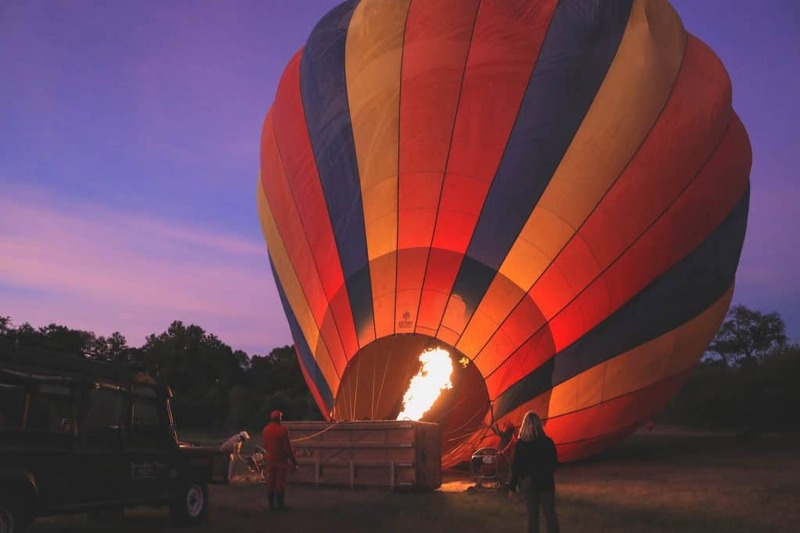 They are also one the best companies to take a hot air balloon safari with in the Mara. Read more about a Mara balloon safari here! We’ve been asked what the absolute best camp we’ve stayed in has been. While that question is too difficult to answer, the most luxurious lodge is Chinzombo in Zambia’s South Luangwa National Park. Chinzombo has an amazing location along the Luangwa River so you will likely find hippos and crocs lingering around night and day. The park itself is famed for its high leopard population along the riverbanks during the dry season. It provides visitors a good chance of spotting the elusive leopard right form their villa. 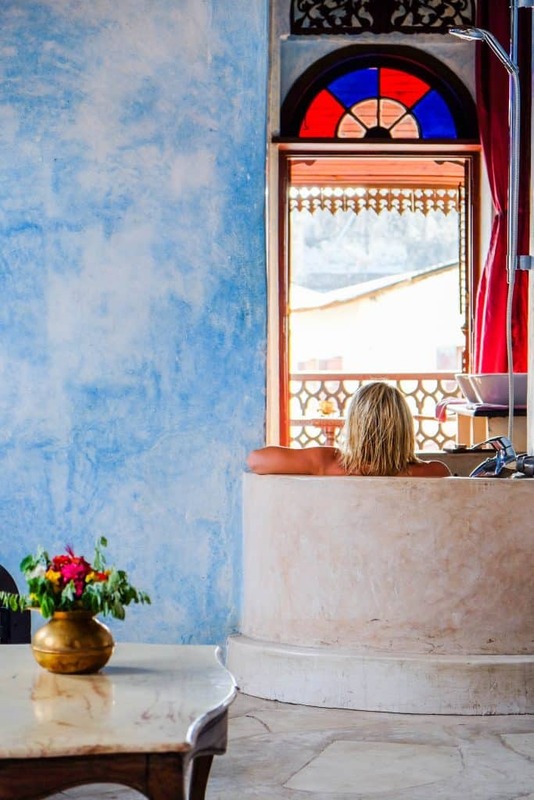 Each villa has a bathtub, shower, lounge, minibar, WiFi, and a climate controlled king sized bed. The villas deck provides guests a large area for relaxing, take advantage of spa services, and swim in the plunge pool. 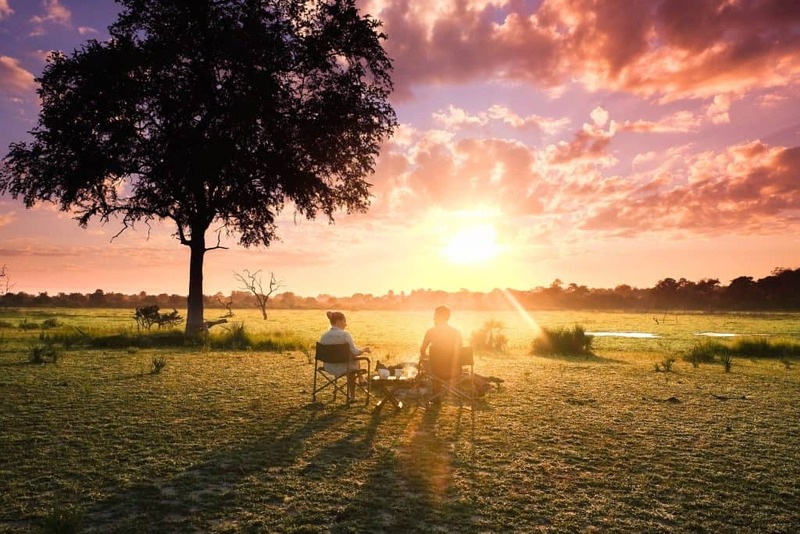 The lodge is managed by the highly regarded Norman Carr Safaris who are experts at walking safaris and have some of the best guides in Africa. Find out why the South Luangwa is awesome! We are both incredibly conscious about our footprint when we travel. It’s why we always recommend eco-friendly products to travel with. That’s why we loved our stay at Ila Lodge in the Kafue National Park in Zambia. Ila Lodge is a brand new eco lodge that hits a home run on luxury and sustainability. We loved the solar powered pontoon boat for cruises on the Kafue River, and their electric Land Rover. The lodge has nine tents in total all facing the beautiful Kafue River. The rooms are open and allow for a blurred line between nature and your room. The thatched main structure offers an infinity pool, elevated dining area, lounge, coffee station, full bar, and beautiful fire pit. After our game drives in the park, we were to come back to the lodge and enjoy romantic top quality meals. Read about the Kafue National Park in Zambia! Chiawa and Old Mondoro are owned and operated by the same family in the Lower Zambezi National Park. 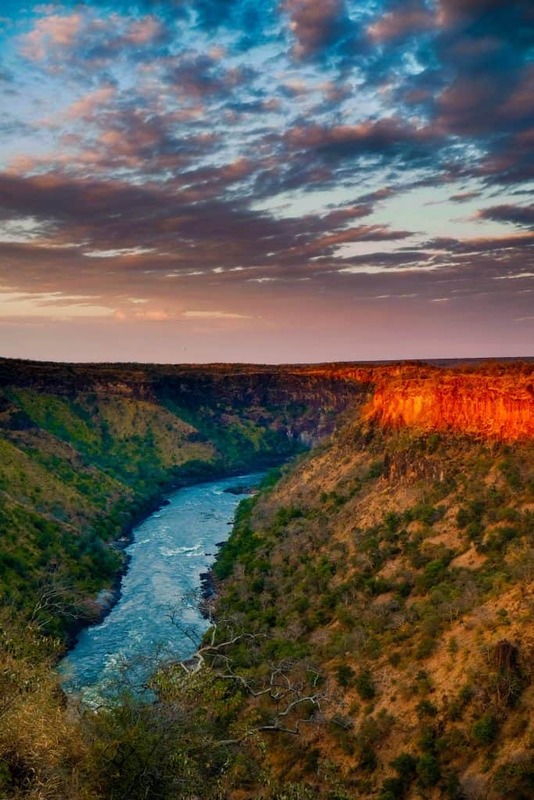 I would suggest anyone traveling to Lower Zambezi to try out both camps. Chiawa is the larger of the two and in some ways slightly more luxurious. The tents are all large and comfortable with an outdoor shower and indoor bathtub and shower. The main lounge area is fit to handle at least twenty guests and features a bar, upstairs lookout, pool, and even a fitness center. Old Mondoro is the smaller of the two and much more “back to Africa” feeling. 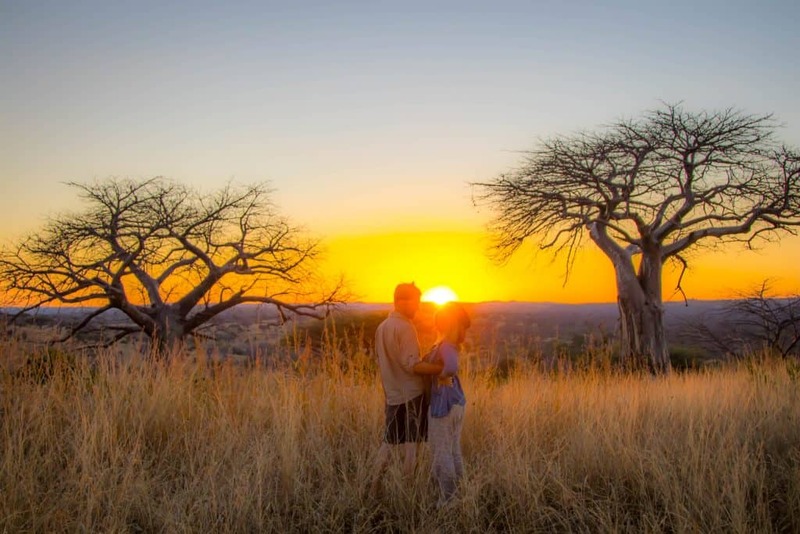 At Old Mondoro guests are truly in the heart of the African wilderness – no WiFi, no unnecessary structures, and completely open. Both camps offer excellent guiding, food, and activities in the Lower Zambezi. Read more about our experience in the Lower Zambezi here! It was only five minutes after we walked into our room and there were already three elephants meters away from our tent at Little Ruckomechi. Little Ruckomechi, or “Little Ruck” is the sister camp to Ruckomechi Camp in Wilderness’s own private concession in Mana Pools. Little Ruck has four tents and can only accommodate eight people at camp. 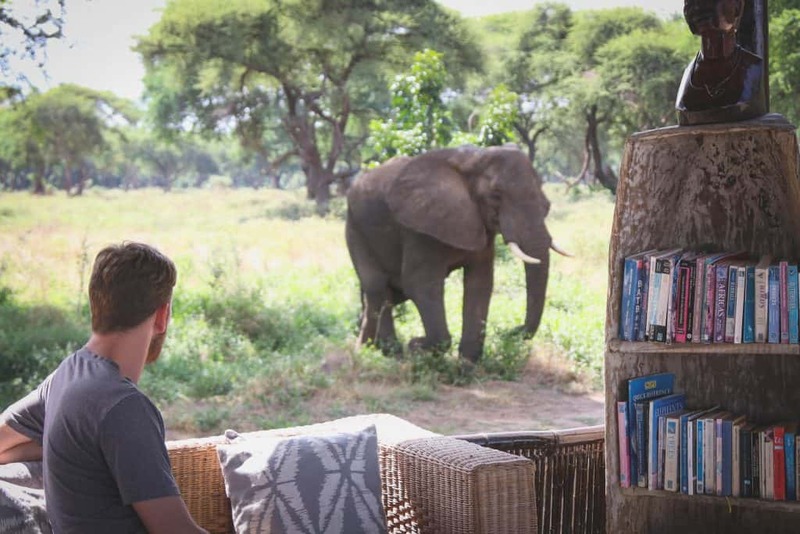 This makes the whole feeling of being in Mana Pools much more intimate and relaxed. 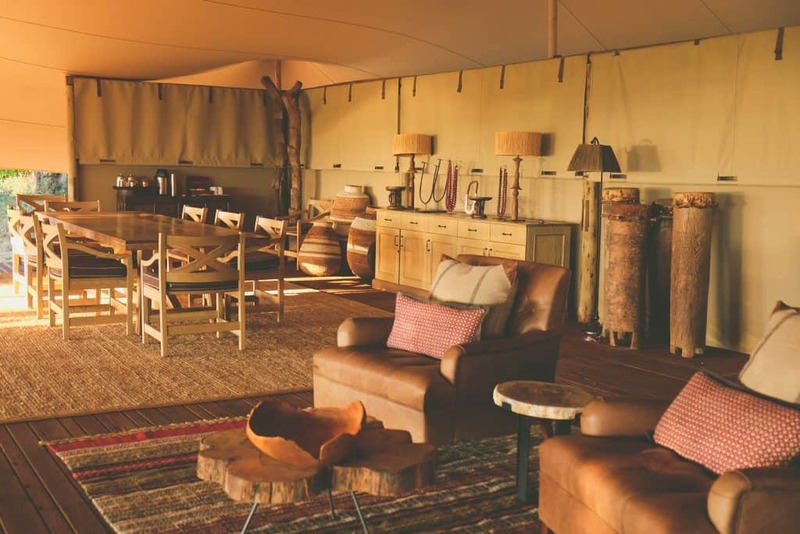 We loved the design of the Wilderness Safaris tents and main camp at both Ruckomechi and Little Ruck. They seemed to effortlessly blend safari and the modern touches. Safari activities are conducted on a private concession within the park so Wilderness guests have the wilderness to themselves. Go to Mana Pools for yourself and see! 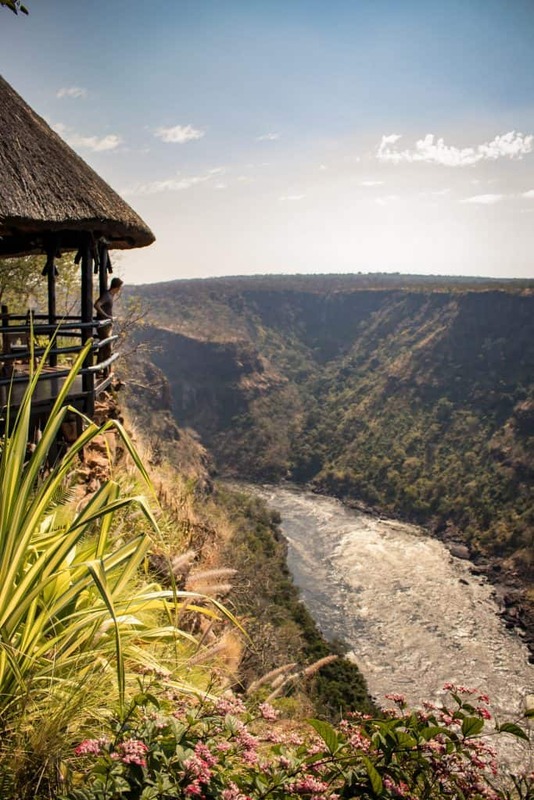 Built on the edge of Batoka Gorge, every room at Gorges Lodge has one of the best views we’ve ever seen. 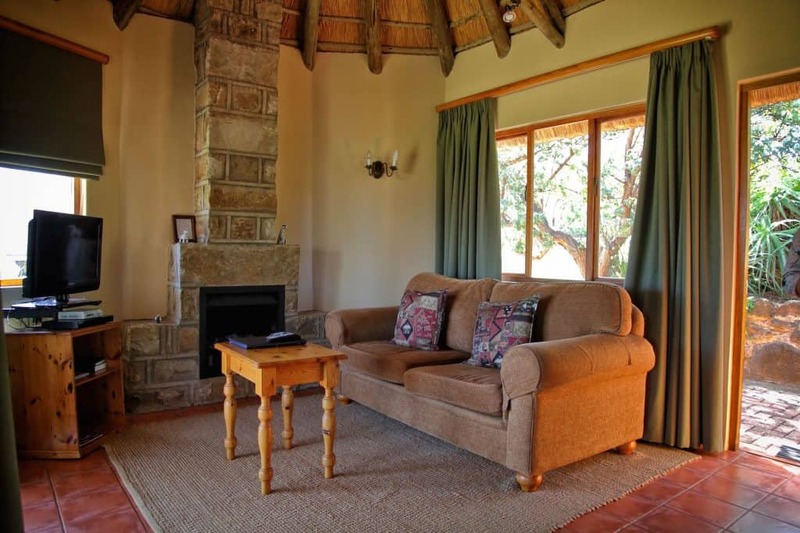 The lodges main highlight is its proximity to Victoria Falls. With only a 30 minute drive to the Vic Falls entrance, this is an ideal place to stay when viewing the magnificent falls. However, there is much more to this area than Vic Falls. Guests here can take a stab at spotting the rare Verreaux eagle, take a trip to the local communities, or even go white water rafting. At the end of the day nothing is better than coming back to the lodge while falling asleep to the sound of water flowing beneath them. Tanzania is one of the best countries in the world to go on safari, and I’m not just talking about traveling to the Serengeti. Selous Game Reserve is one of the largest game reserves in the world and one of the least visited. We enjoyed a four day Selous safari with Nomad Tanzania. The Rufiji River serves as the artery to the park and contributes to the stunning natural features of the park. Our safari in the Selous was enchanting. The eight thatched guest bandas, are set on raised wooden platforms that overlook the river. The rooms are open-fronted, low-key and permit the wilderness to drift into the villas. The sounds of the babbling Rufiji river are ever present while hippos grunt happily along the riverbanks. 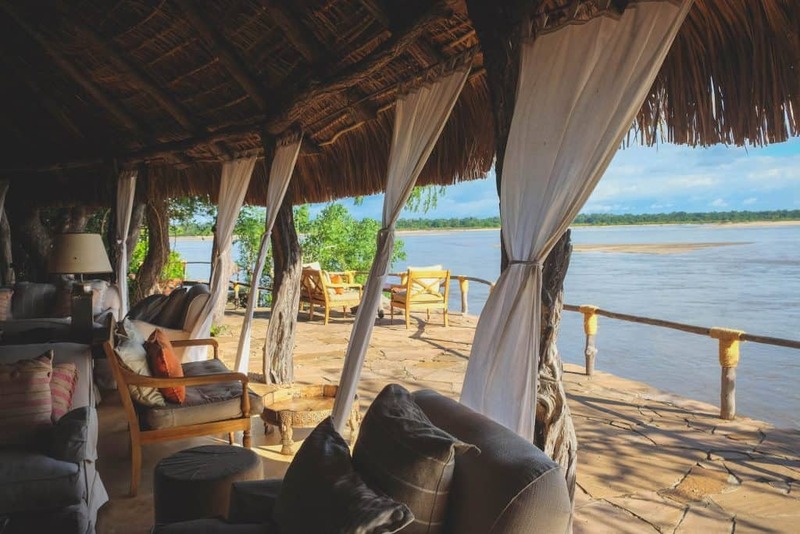 Sand Rivers Selous also offers guest the chance to go on game drives, fishing, boat cruises, walking safaris, and fly camping. Fly camping is their signature experience which we recommend for anyone that wants to go camping in Africa in comfort. Read our Guide to the Selous! We arrived at Ololo Lodge not knowing what to expect. 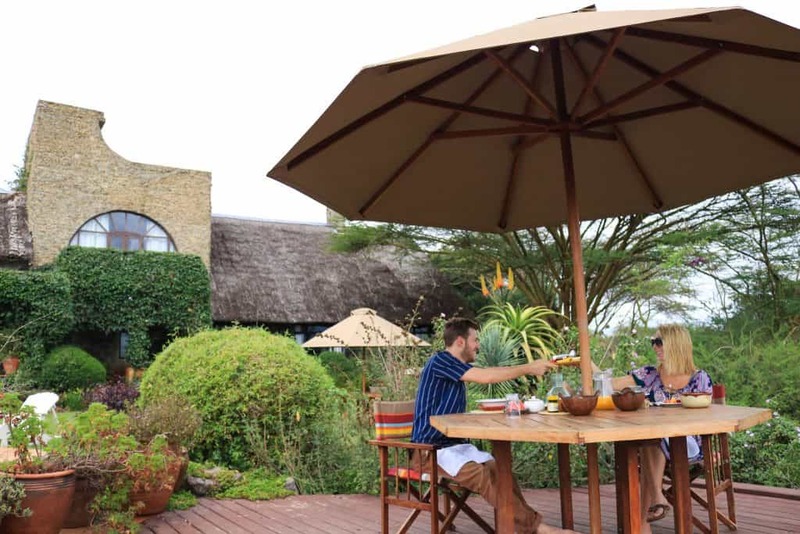 The location of the quaint country lodge is on the Southern border of Nairobi National Park. The lodge is owned and operated by a lovely Australian couple who were crazy enough to give lodge management a stab. They have taken everything they know from their two backgrounds – farming and furniture design – to build Ololo Lodge. 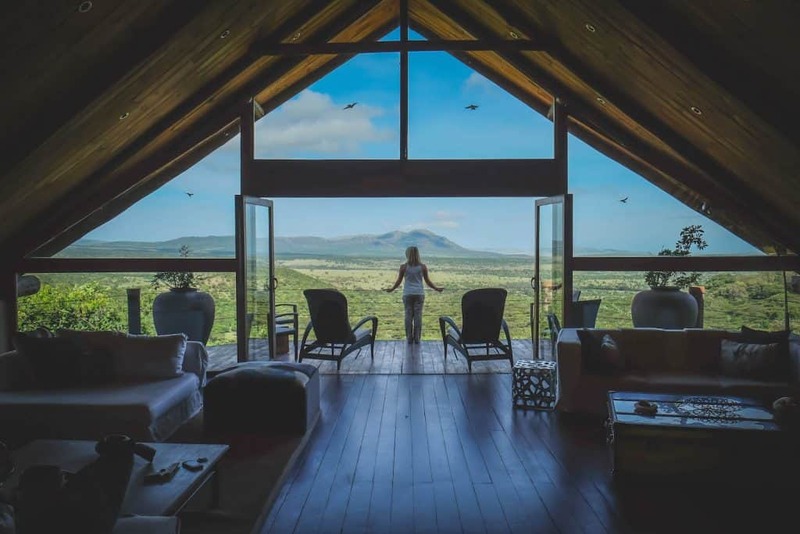 The lodge used to be a traditional farmhouse that was restored into comfortable stable rooms, Safari tents, and even a tower suite that all compliment the old countryside theme. They strive to grow as much as their food as they can from a large organic garden on the property. Which means they serve up some delicious farm to table cuisine. Even if you are not staying at Ololo you can swing by for a meal on their beautiful property. I would recommend making reservations on weekends as it gets busy. Nairobi National Park is the perfect safari for those who can’t escape the city. We didn’t know much about the coast of Kenya before we got there. We landed in Mombasa after an epic safari in the Masai Mara and made our way to Diani Beach. 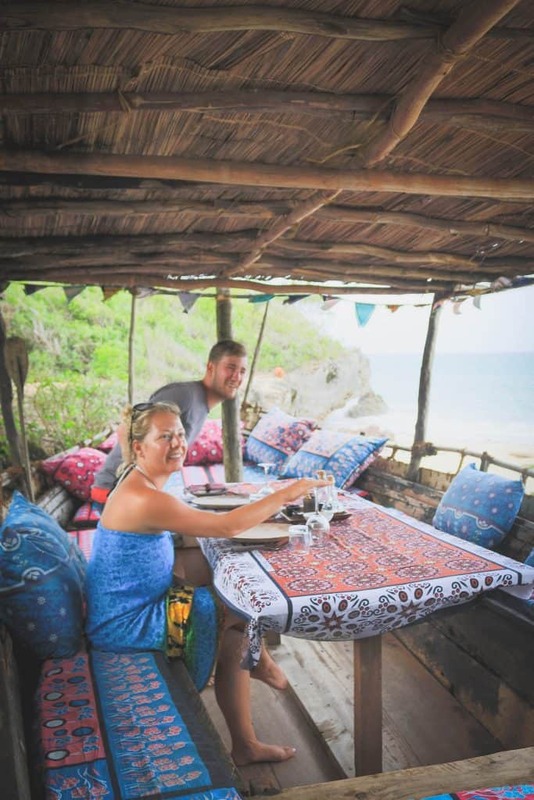 Our first stop was Kinondo Kwetu, a small boutique barefoot beach lodge run by a young Swedish couple. The Bohemian lodge is great for both couples and families as there is plenty to do and plenty of places to just relax on this property. Kinondo Kwetu has not one, but two pools – one for adults and one pool large enough to hold scuba diving lessons. The property has sun beds, a sauna, and various hideaways used for meals. There’s also a stable onsite to go horseback riding along the beach. As well as kayaks, a slack line, a yoga studio, and fitness center to stay active. It topped our list as one of the best Diani Beach hotels. 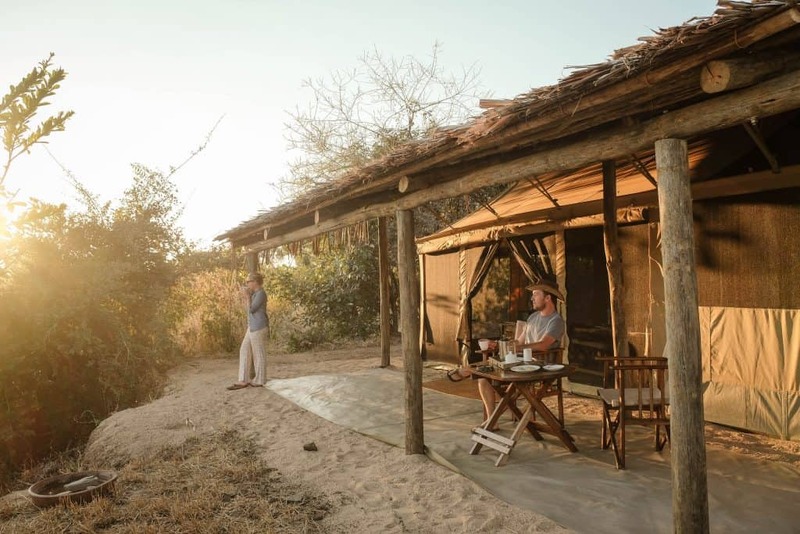 Kigelia Camp, like Old Mondoro in Zambia, is another African camp that is back to basics. 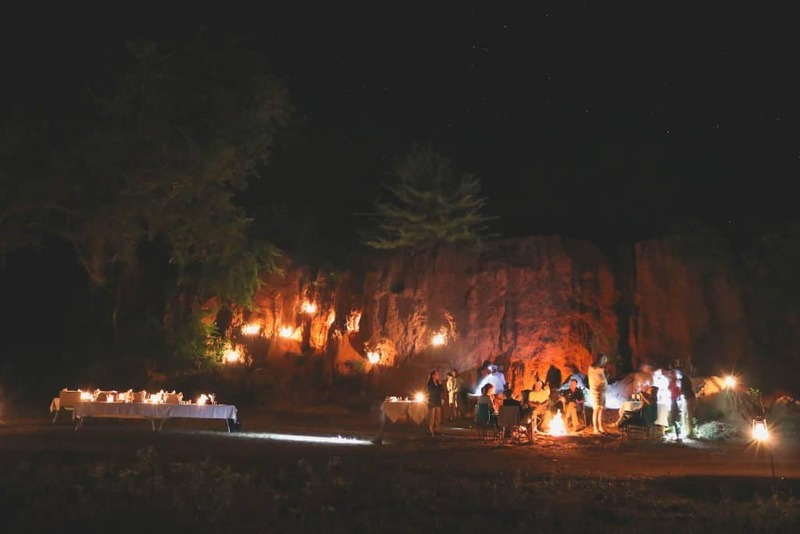 Located along the dry riverbeds in Ruaha National Park this embodies the classic safari camp. Coffee on a brisk morning and sundowners around a fire are what await you at Kigelia. Here each tent is open with a king size bed, a bucket outdoor shower, and bucket sinks. There is no hard electricity here or WiFi. Like mentioned, this is old school safari, but in a great way! This was our last stop in Africa and it couldn’t have been more fitting. 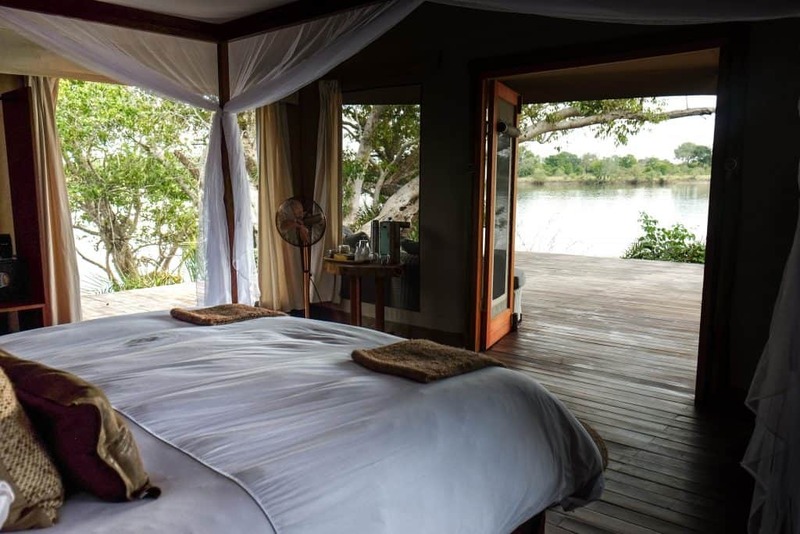 Falling asleep to the sounds of lions grunting and waking up to the sounds of fish eagles calling is exactly what I want out of an African safari. Want to see more of Africa?